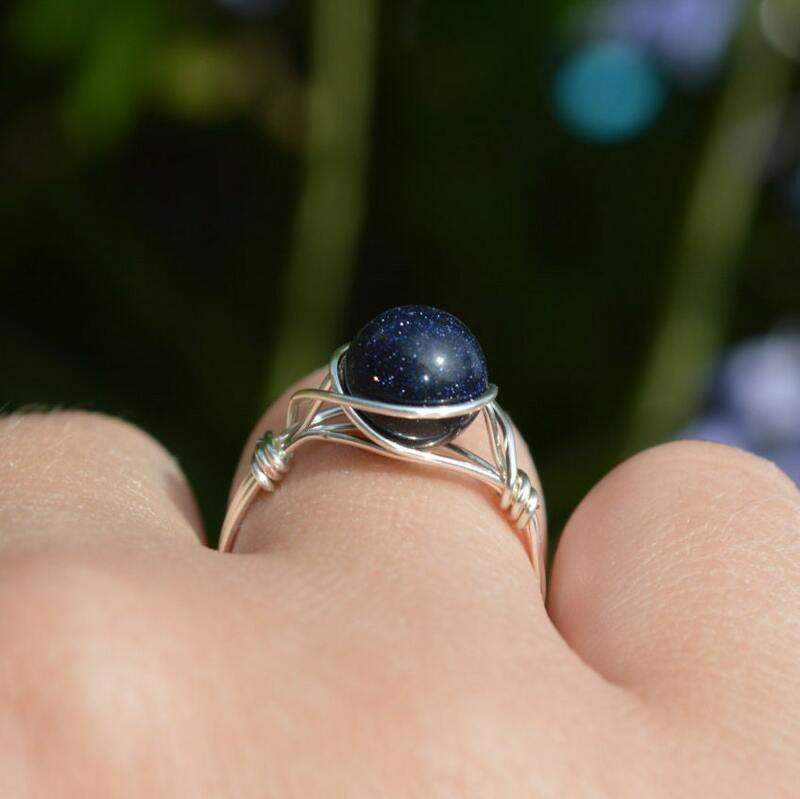 Blue Goldstone gemstone ring, wire wrapped with sterling silver wire. 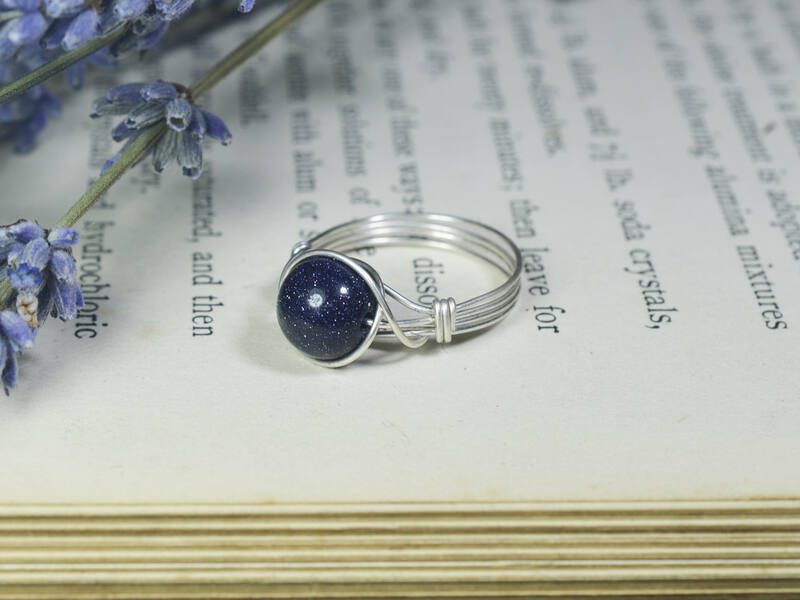 Goldstone is known as the stone of ambition, used for helping you to achieve your goals! 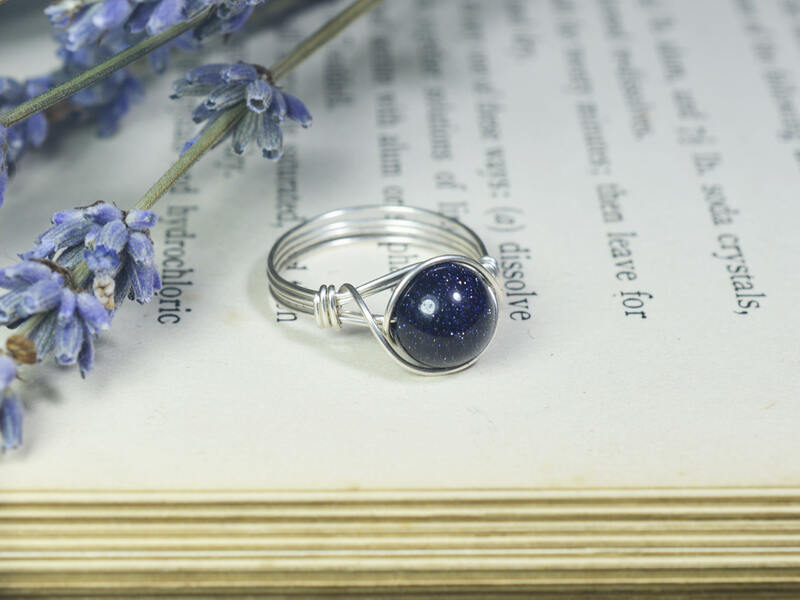 Goldstone is the zodiac stone for those born under the signs of Sagittarius, so a perfect gift for anyone with this sign! 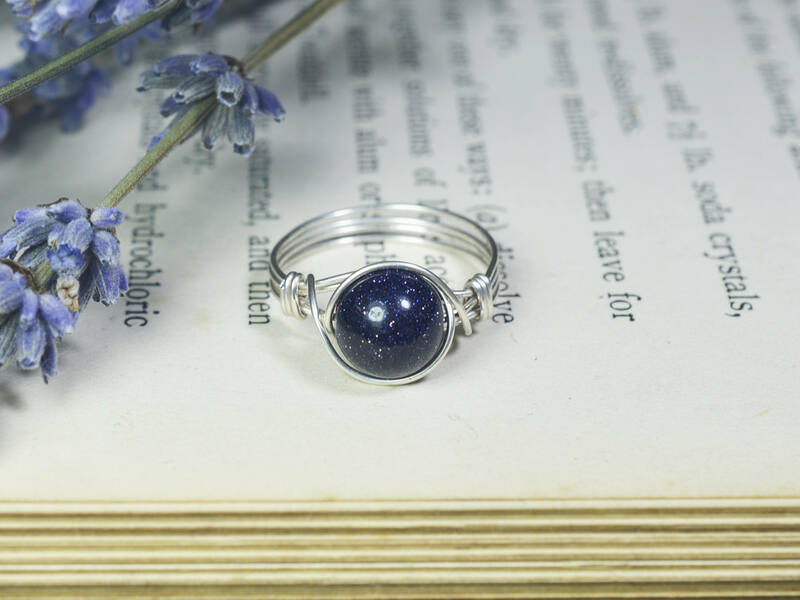 A little smaller than another ring I ordered from you in the same size, so it’s been demoted to a pinky ring, but a beautiful stone and looks really cute. Perfect thank you so much! Was very loved! 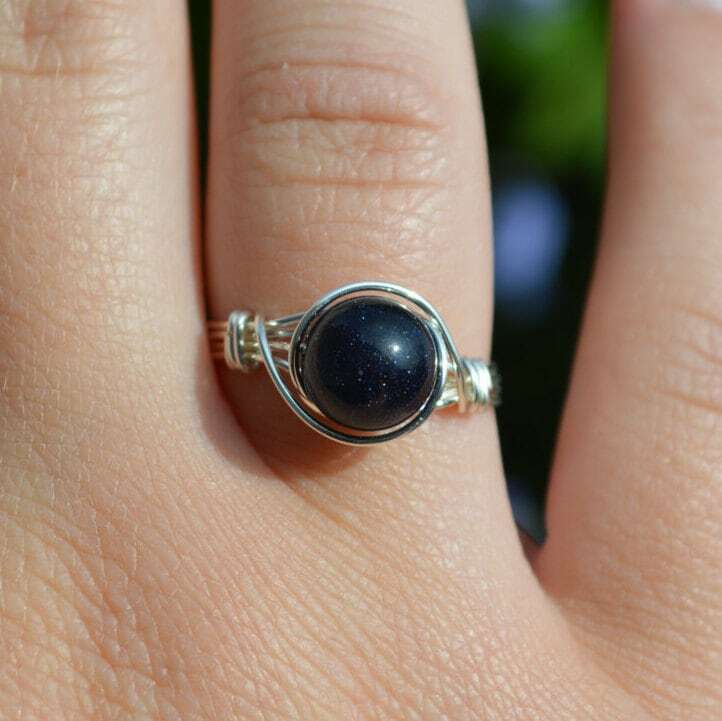 Bought for my girlfriend, she liked it and speedy delivery!